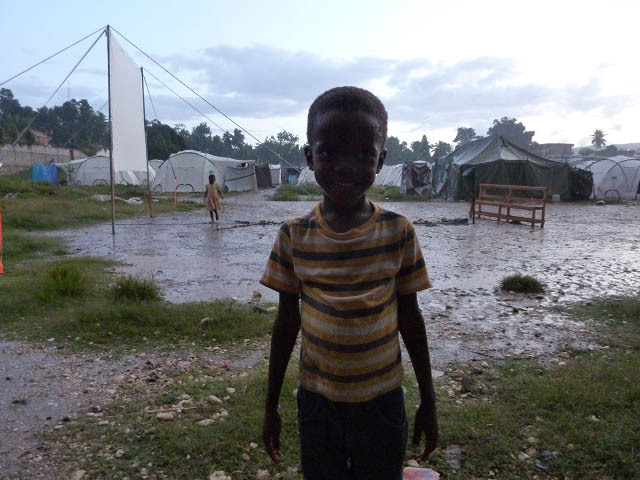 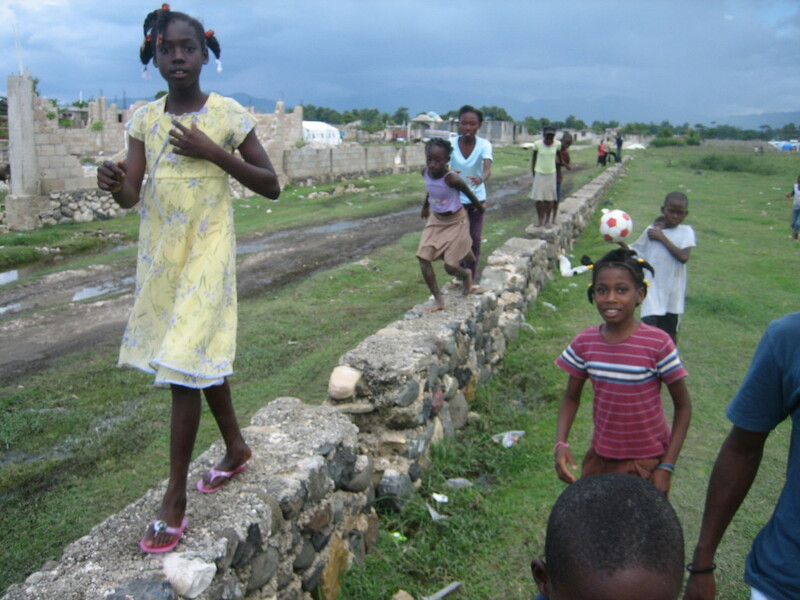 There’s a popular saying here that Haitians are like sugar – they disappear in the rain. 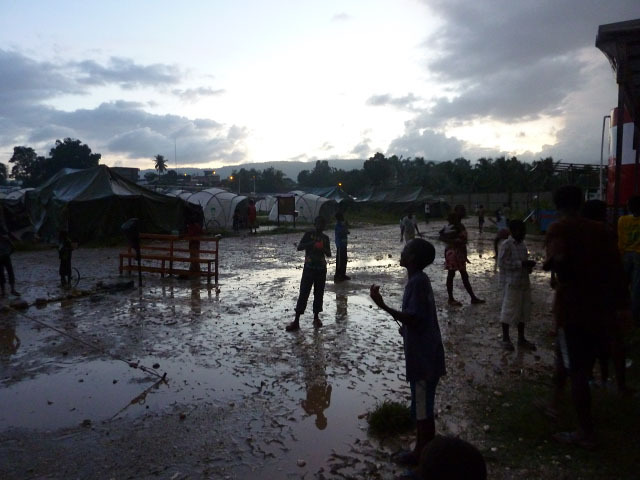 Our trip’s been at the end of the rainy season so we experienced a few sudden downpours. 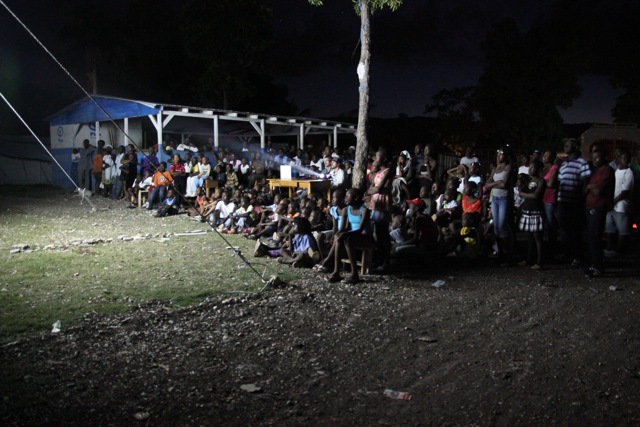 But the kids didn’t mind getting a bit wet – One of our best shows was when we were rained out and decided to put up a makeshift screen in a lean-to… ending up with an explosively excited and very appreciative audience packed into a very small area. 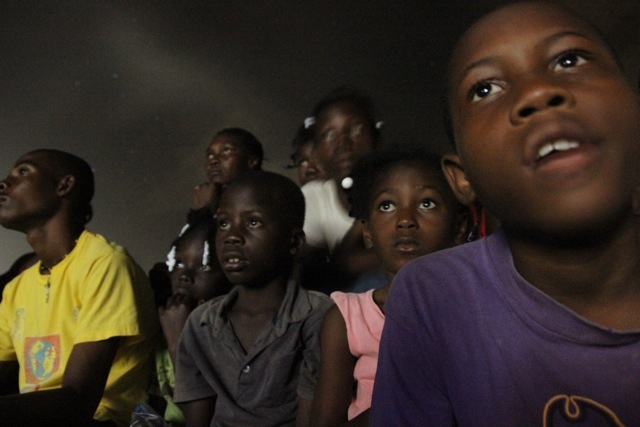 G. hanging out with future pop stars… definitely our best memories are going to be the larger than life characters we met in Hait – Jean Michel, Junior, Tracey, Berlynne, Roosevelt, George and especially the kids in our audience… we salute you! 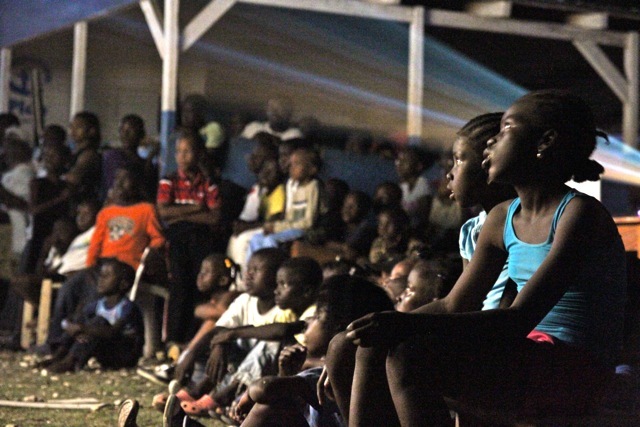 Over the weekend we had our biggest audiences so far for this trip – up to 400 children and adults a night…. 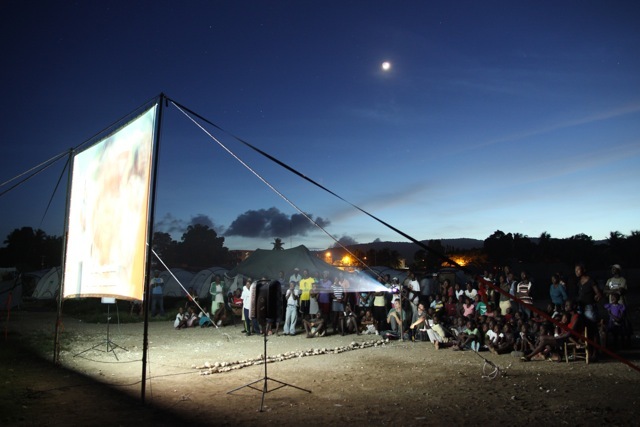 Tuesday is going to be our last night in Jakmel – we’ll be taking the cinema out of town to a little rural camp in the countryside. 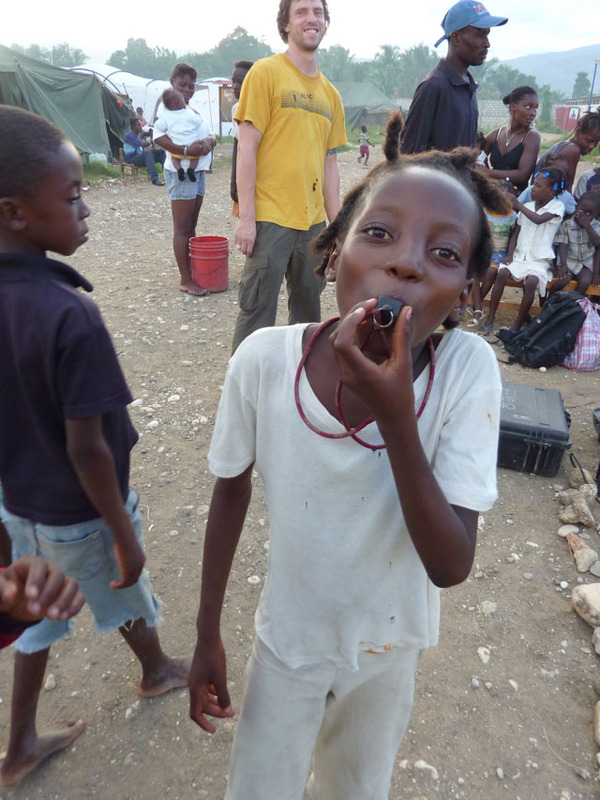 Then on Wednesday we’re off to Leogane for our last week in Haiti. 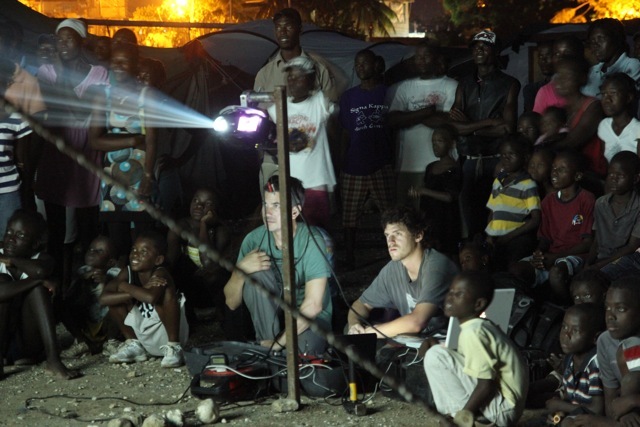 On October 18th three Cube volunteers will be flying out to do four weeks of outdoor cinema and video workshops with children displaced by the 2010 earthquake. 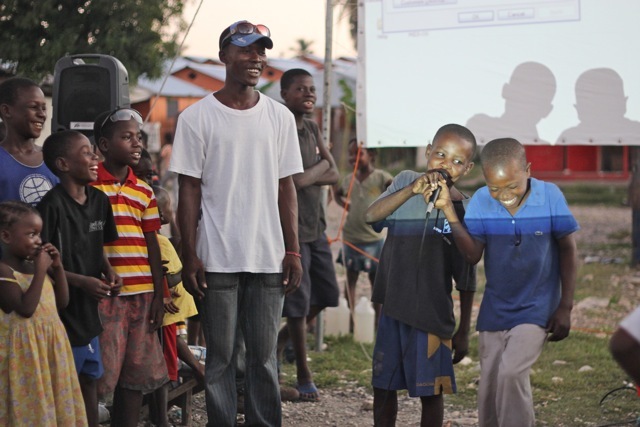 This time the team will be going to Jacmel, a town on the south coast, where we’ll be showing a selection of the best international children’s films in tent cities; and at the workshops children will be able to learn how to make short animations and videos. 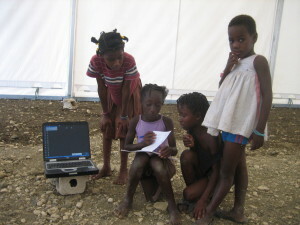 Its been 15 months since the first HKKP trip to Haiti (you can see a video about that trip here). 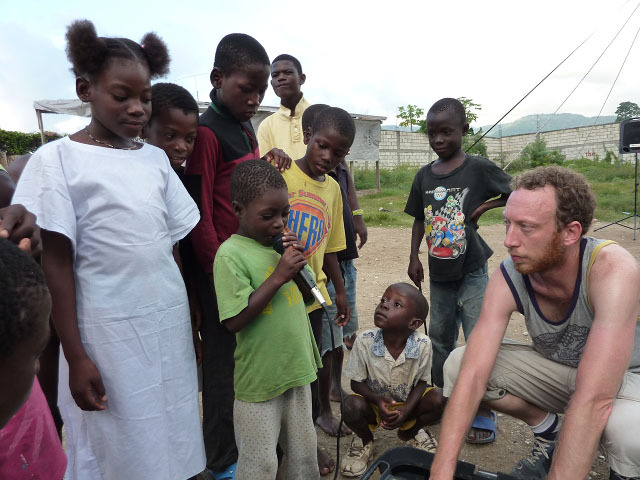 During that time a lot of fundraising events have taken place in and around Bristol and we’d like to say a big Thank You to everyone whose contributed. 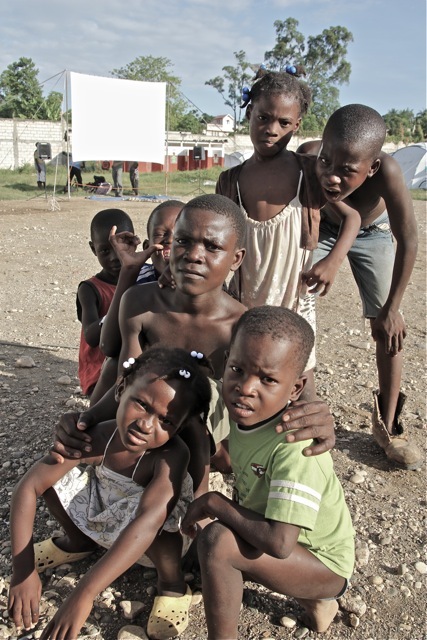 The second trip was originally scheduled for the beginning of this year, but due to the outbreak of Cholera and general unrest around the time of the election, it was postponed. 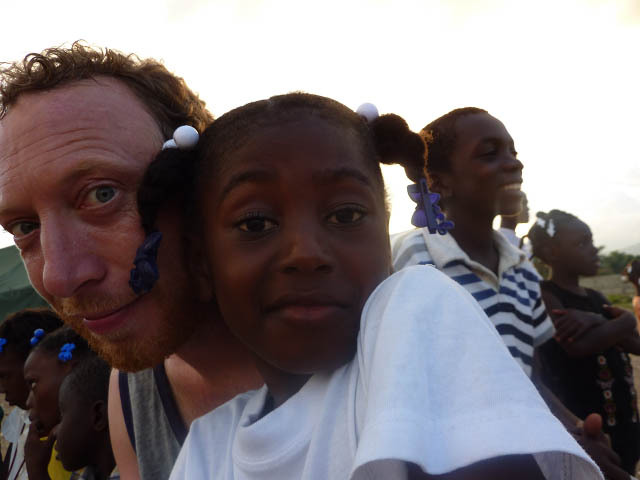 Sadly some of the people who put in loads of work for that postponed trip aren’t able to come this time due to work and life commitments – we’d like to say a huge thank you to them for all the effort they put in. 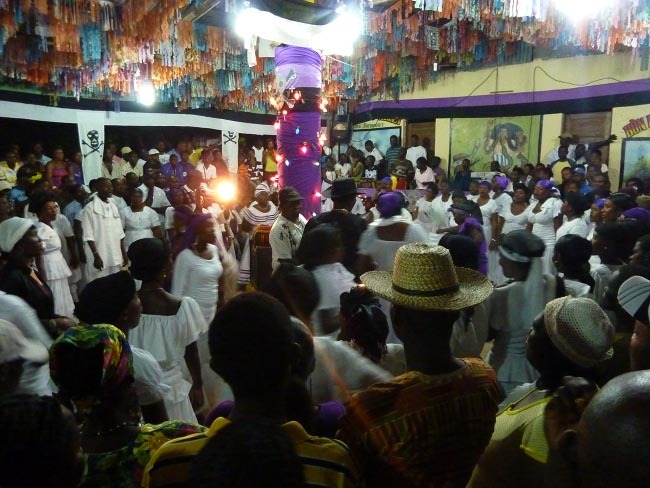 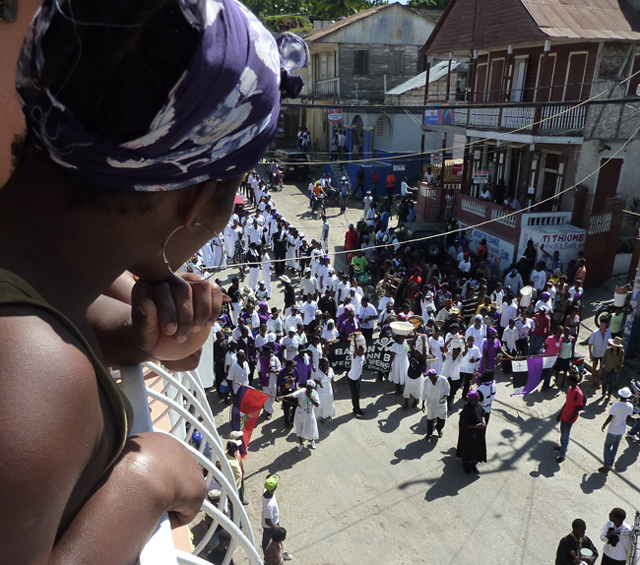 pictures : HKKP’s March/April trip to Port-au-Prince and Leogane. 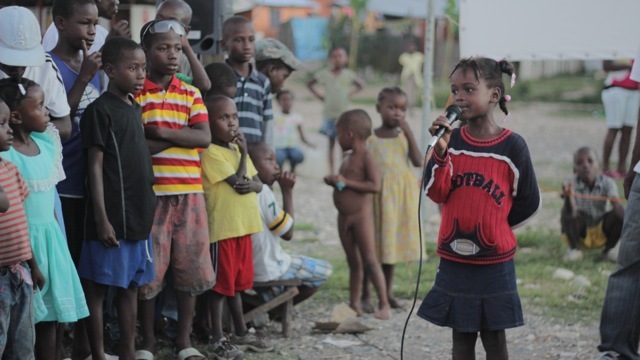 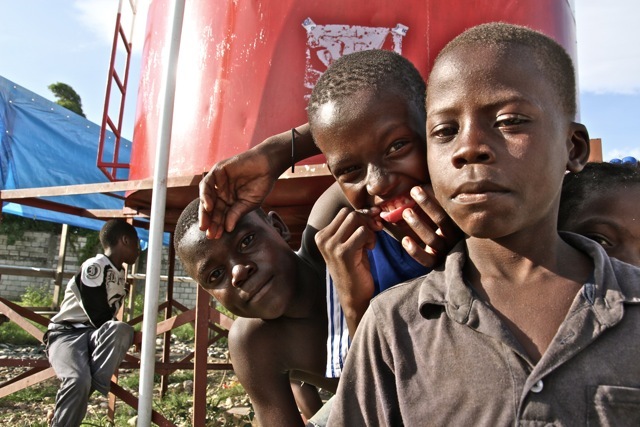 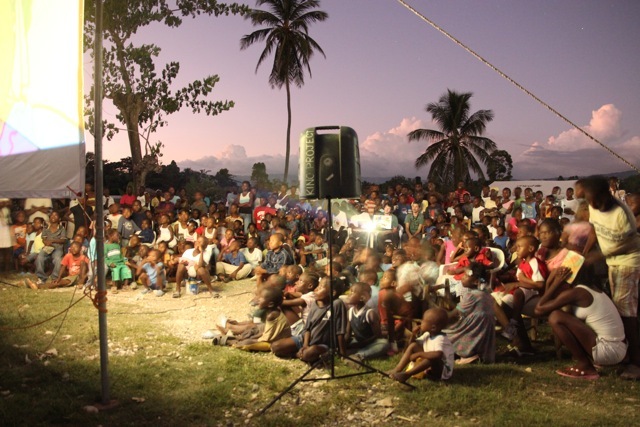 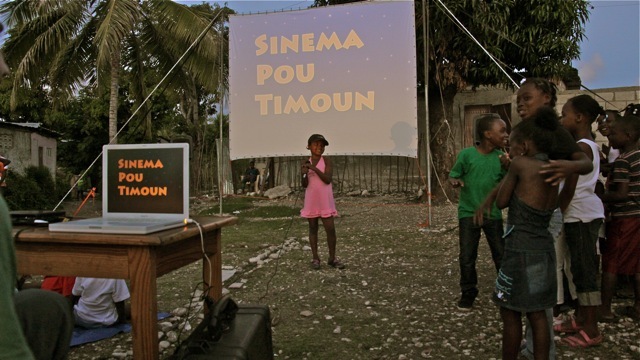 Here’s a new film made from footage of the Haiti Kids Kino Project’s visit to Haiti in March and April 2010. 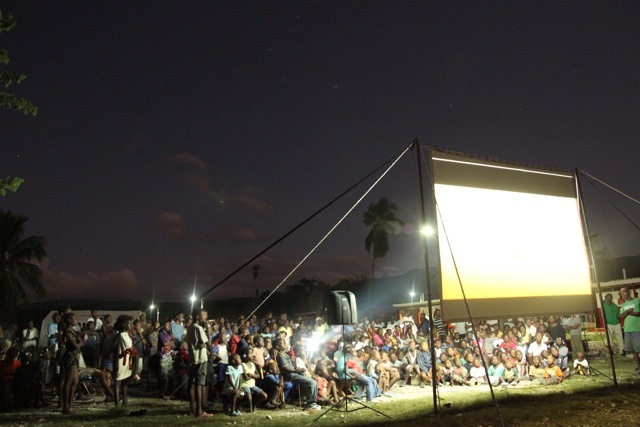 Many thanks to everyone in the film! 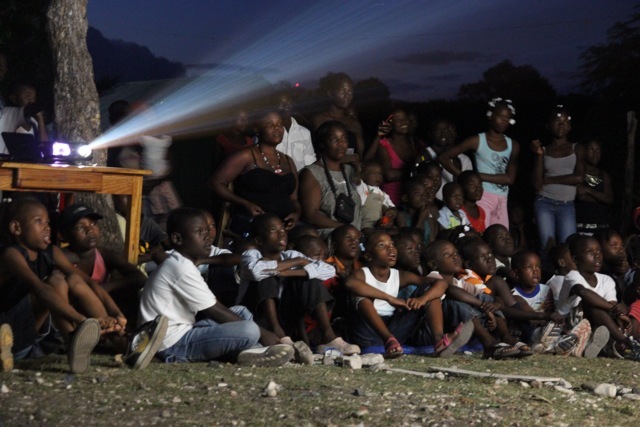 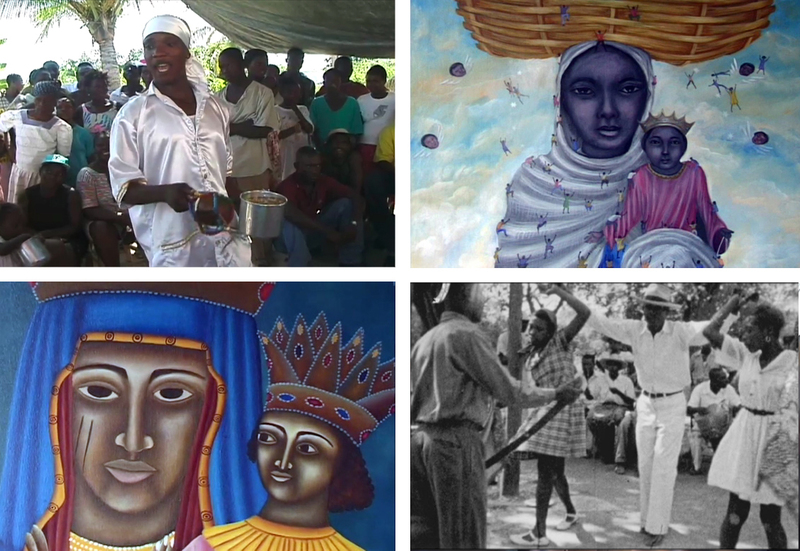 The locations that are featured are in Delmas and Cite Soeil in Port au Prince, and in Leogane.